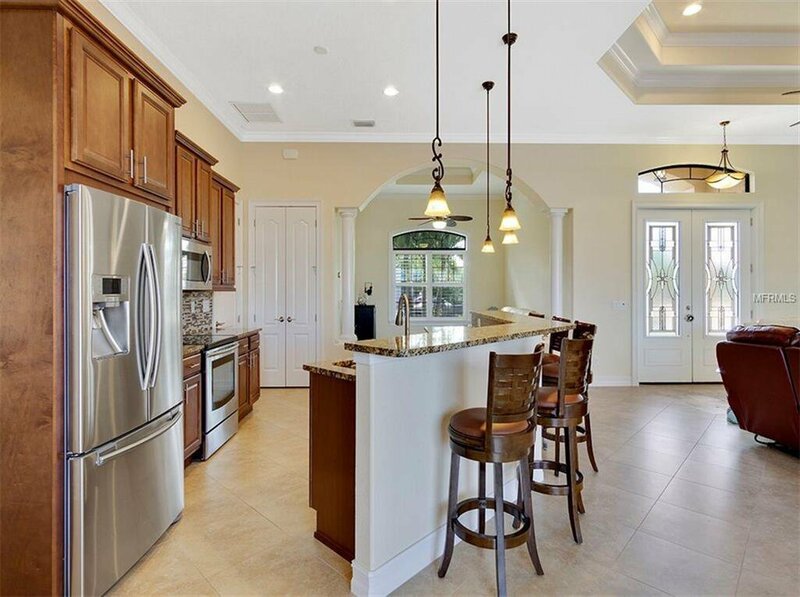 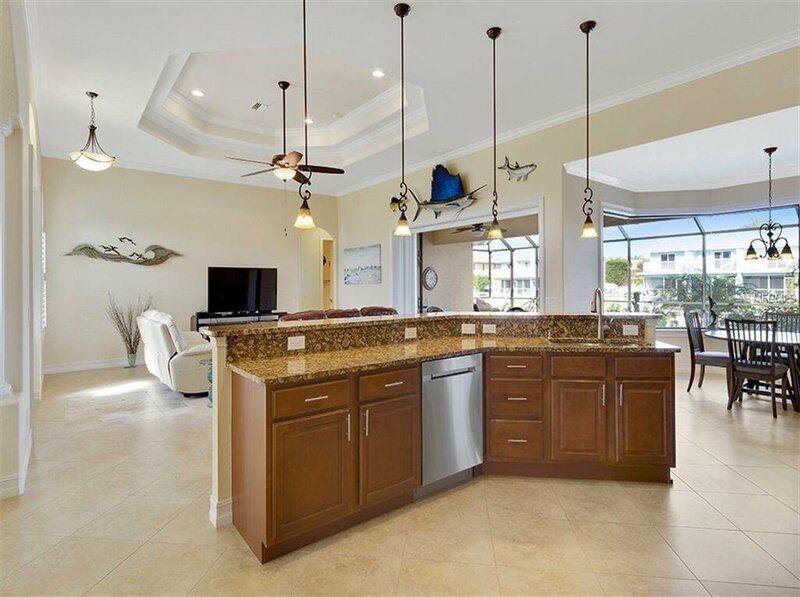 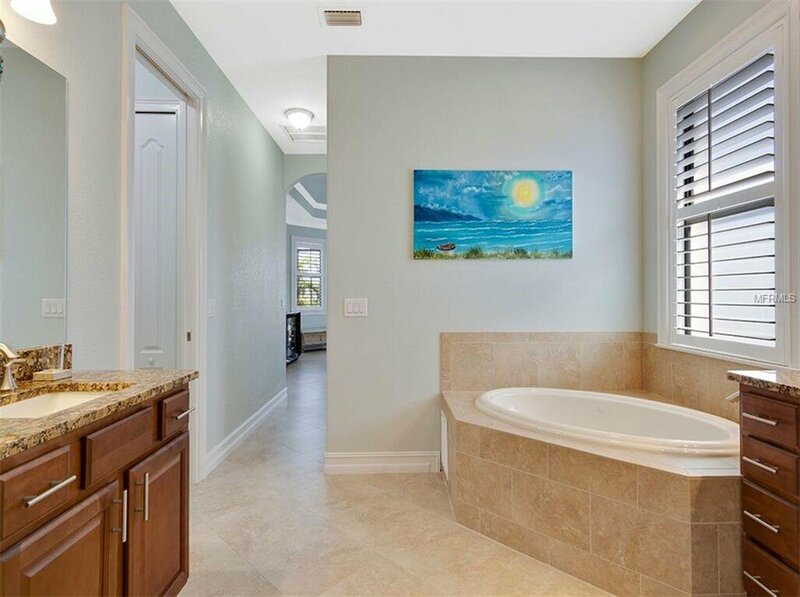 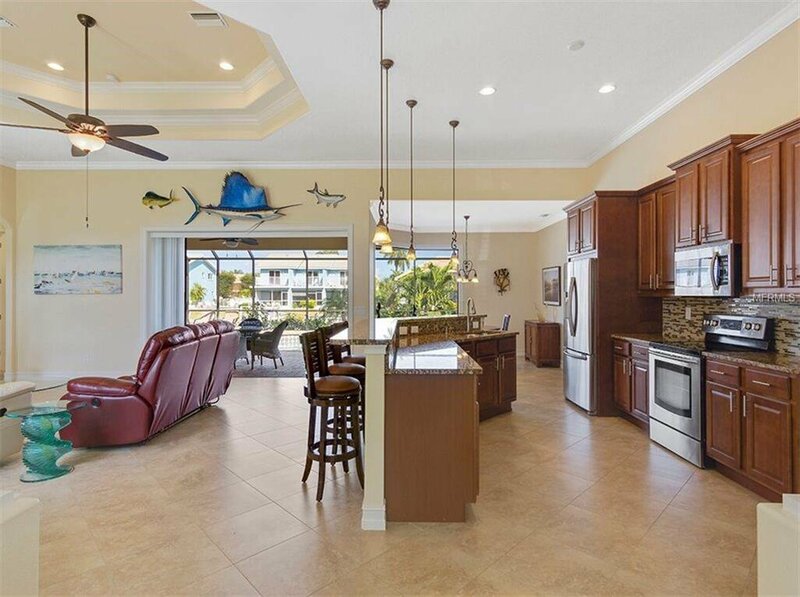 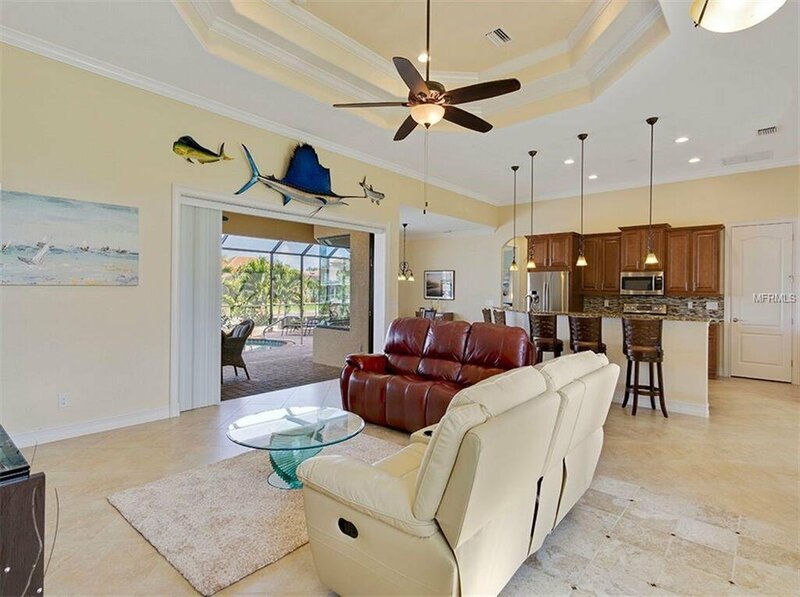 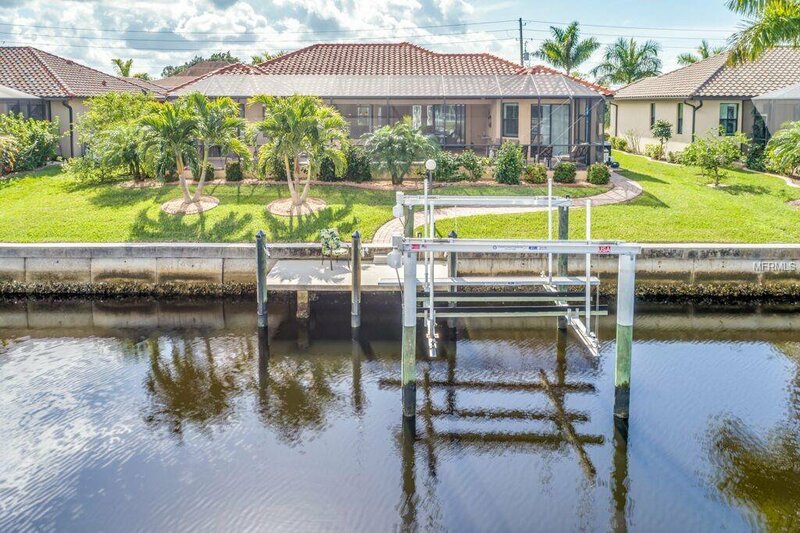 Why wait to build when you can move into this beautiful custom built 2014 waterfront home in Punta Gorda Isles. 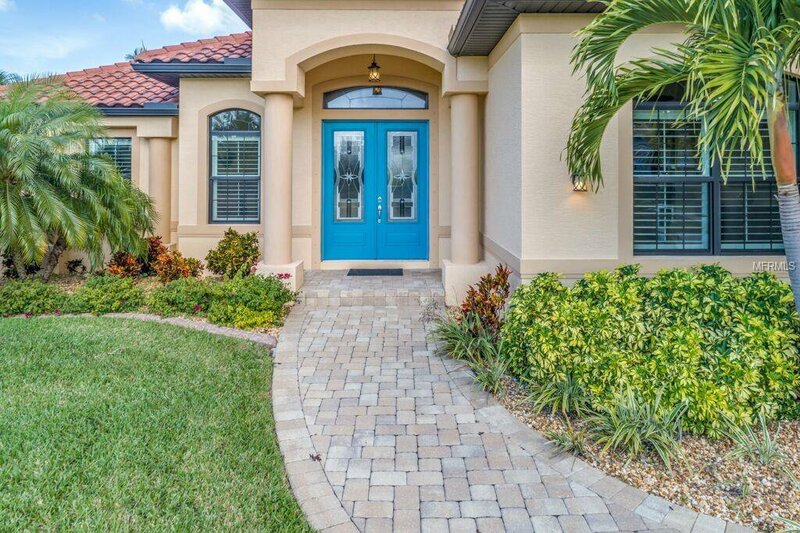 Great curb appeal with lush landscaping, brick paver driveway & walkway. 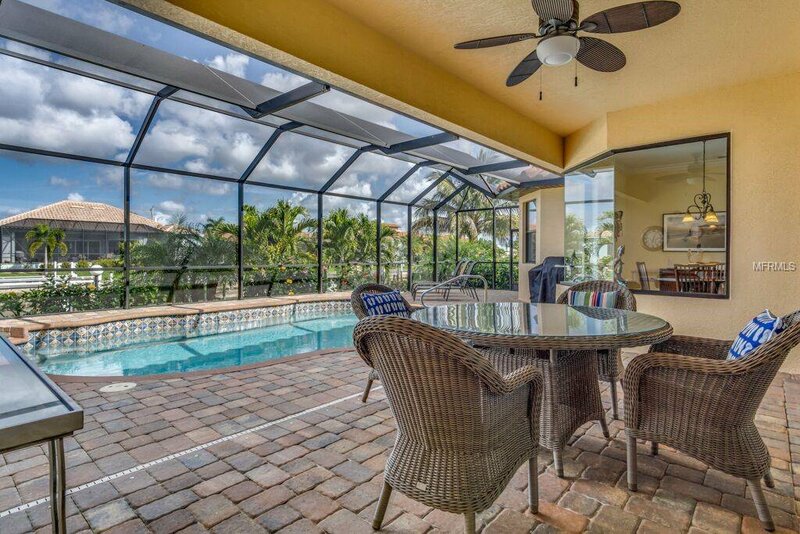 Enter the home through the double front etched glass doors to the great room with a view of the pool & canal through the pocket sliders. 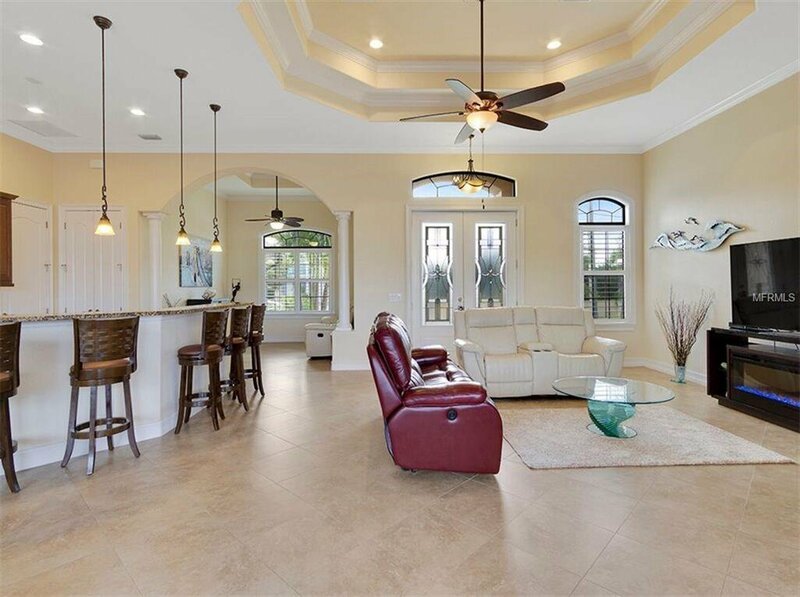 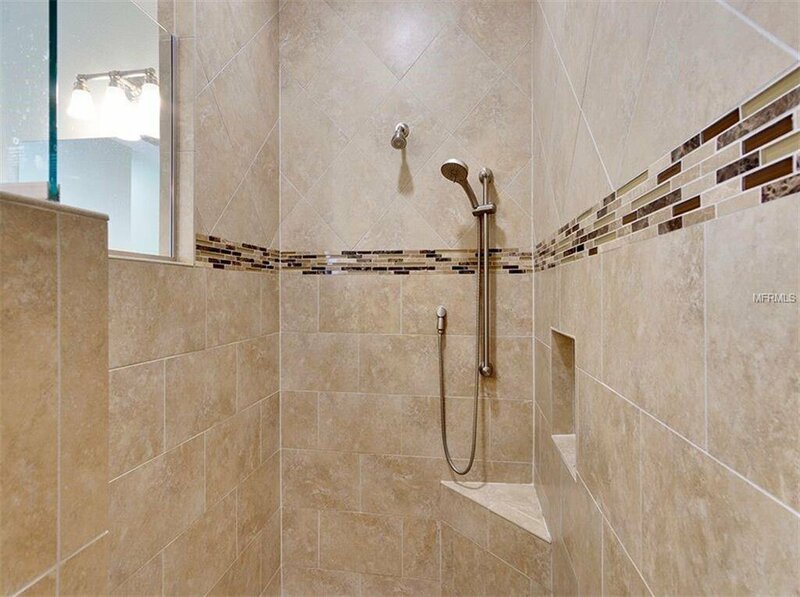 This is an open floor plan with tile on point throughout. 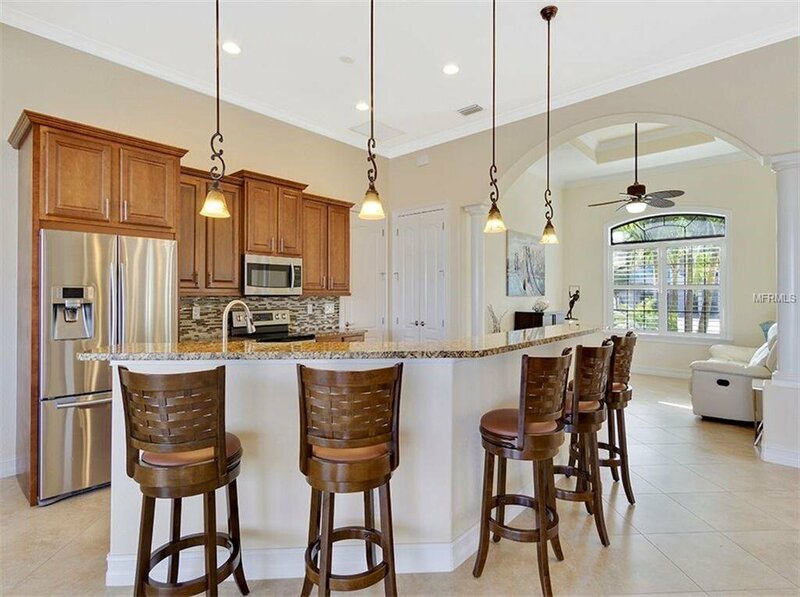 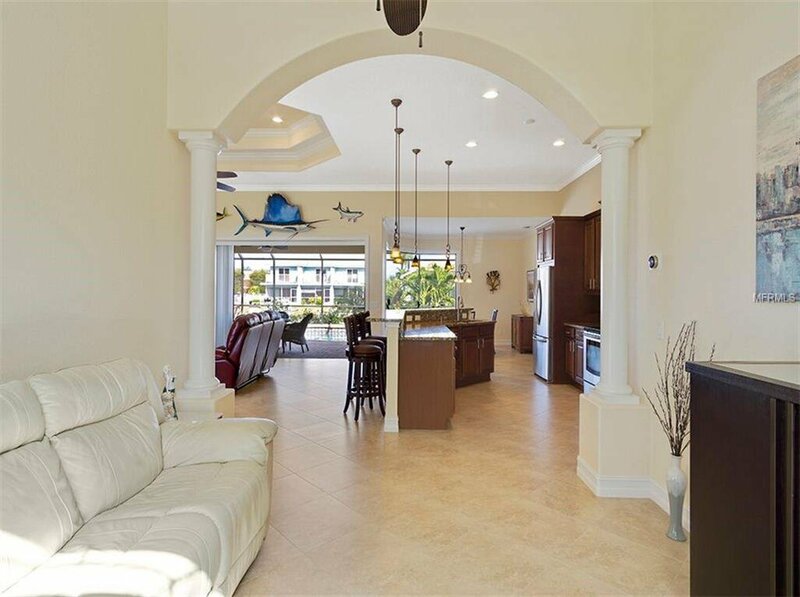 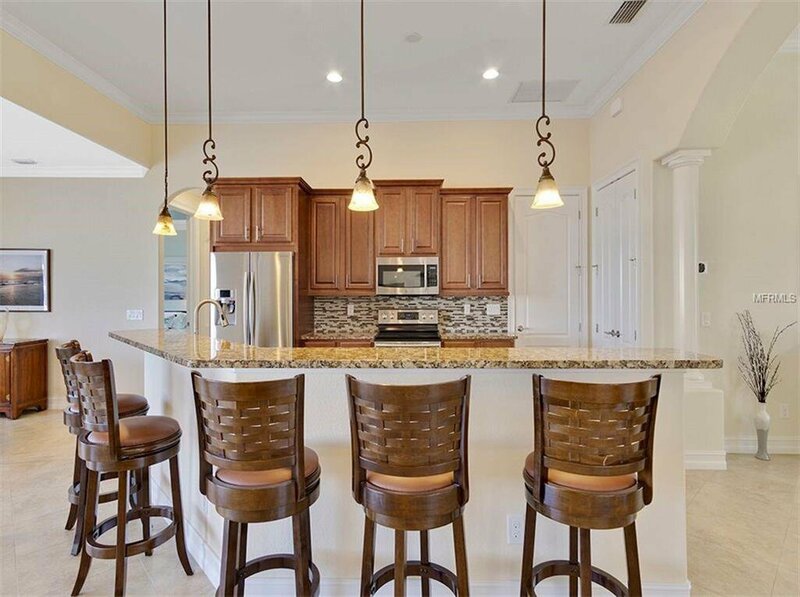 The great room features a double tray ceiling & flows into the gourmet kitchen with soft close wood cabinets, granite counters, a spacious island & stainless steel appliances. 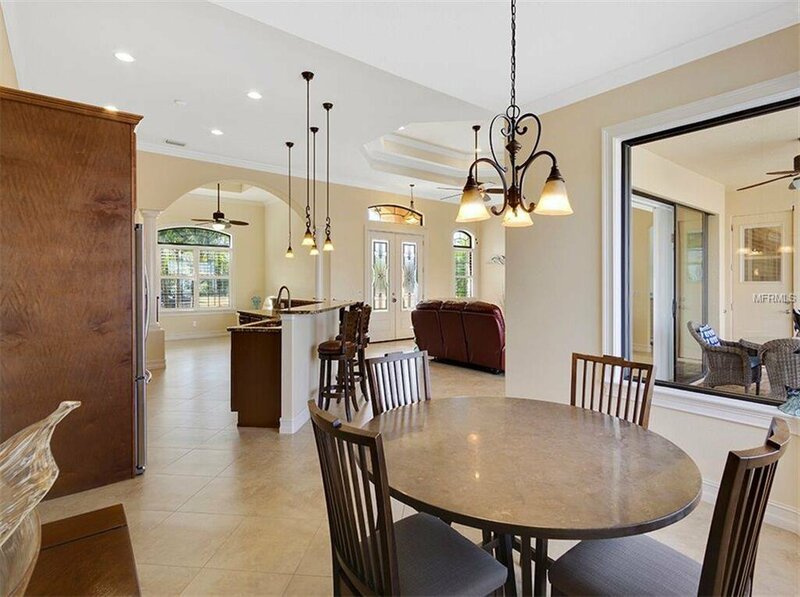 There is a separate dinette area in the kitchen as well as a formal dining room that could be used for an office or den. 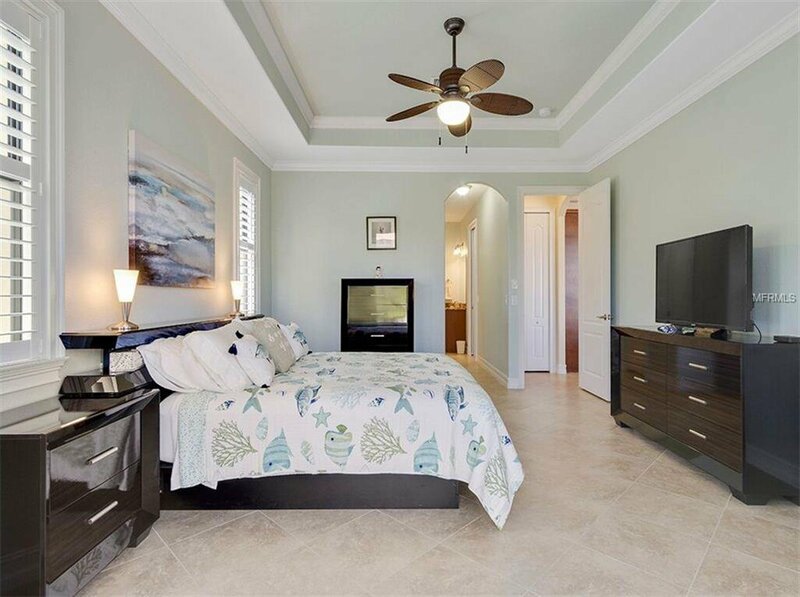 This is a split bedroom plan featuring a master suite with separate lanai access, tray ceiling, large closet, & bath with garden tub, walk in shower, & dual vanities. 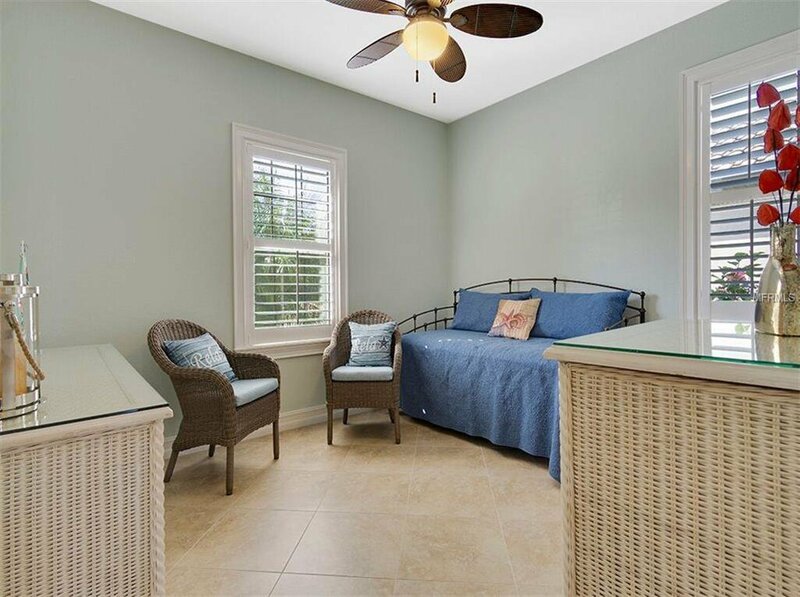 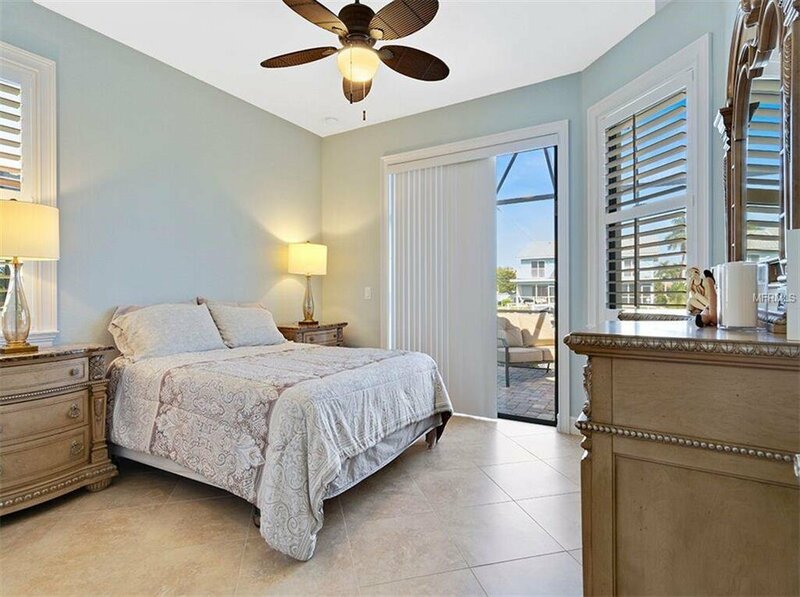 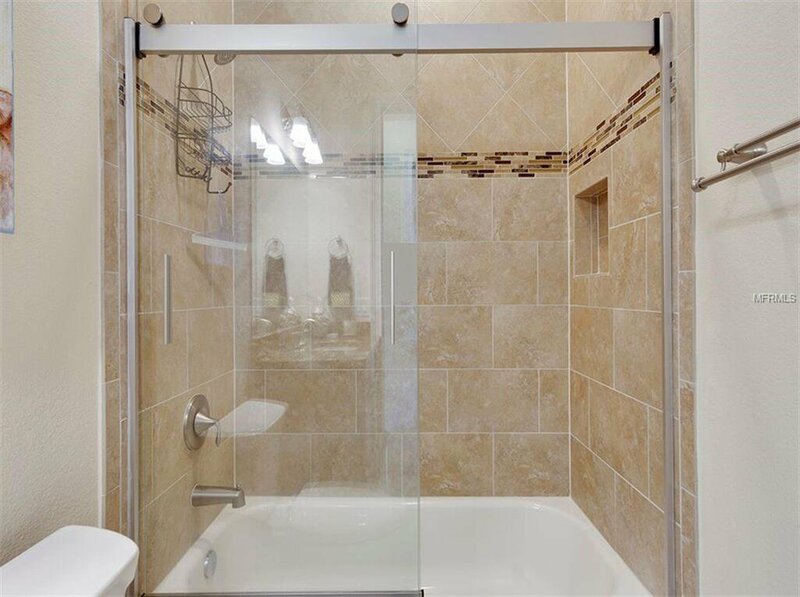 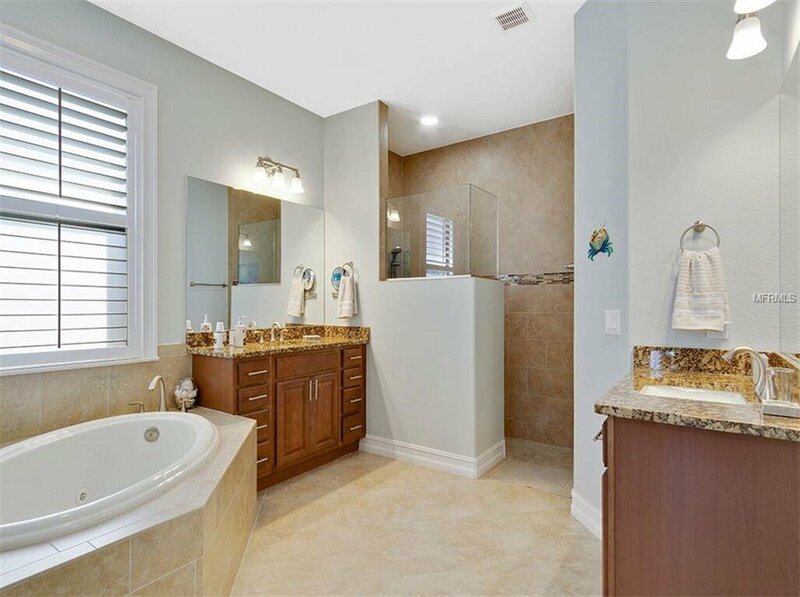 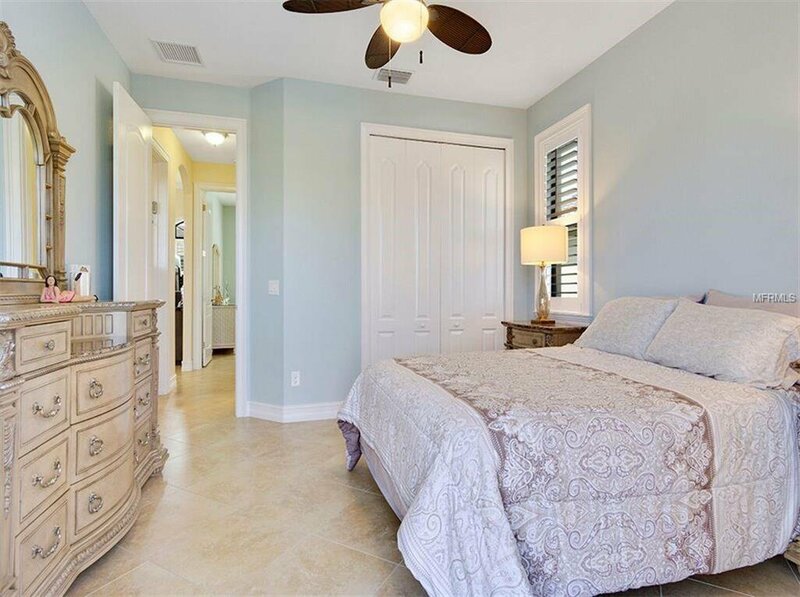 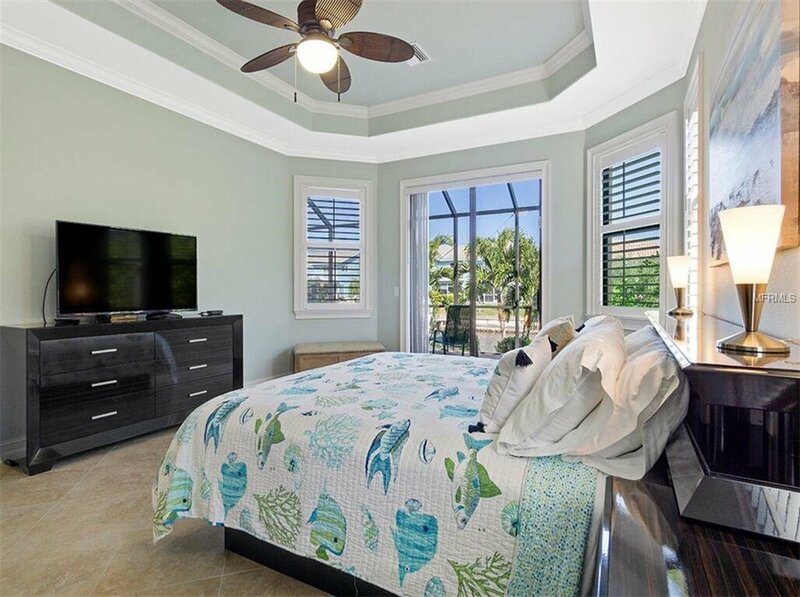 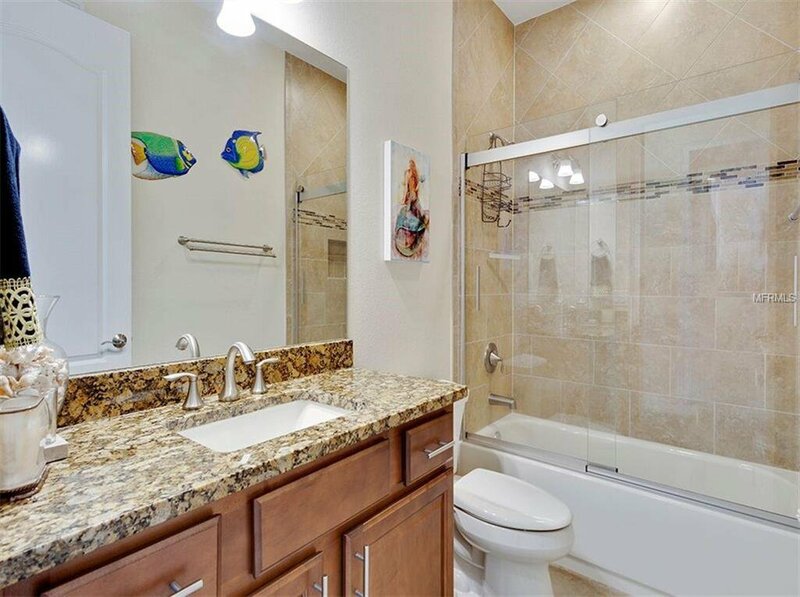 The two guest bedrooms have a bathroom separating them with a door leading to the lanai which doubles as a pool bath. 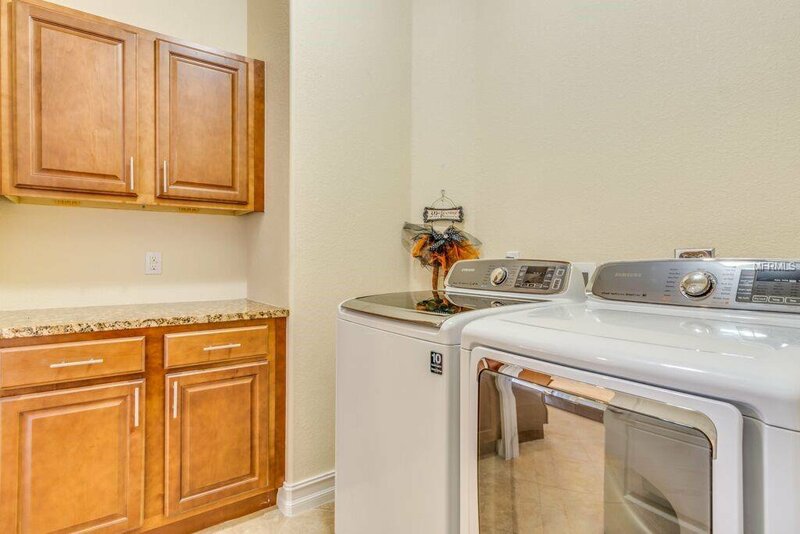 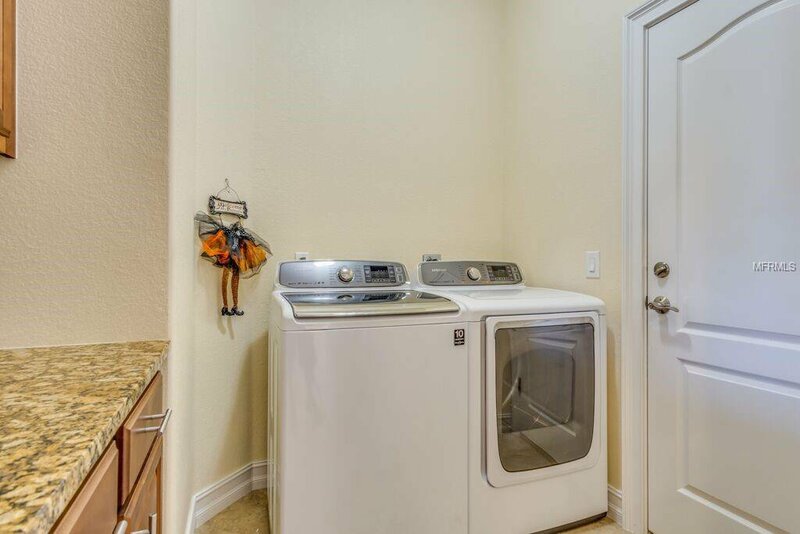 There is an inside laundry room with storage cabinets & a spacious garage. 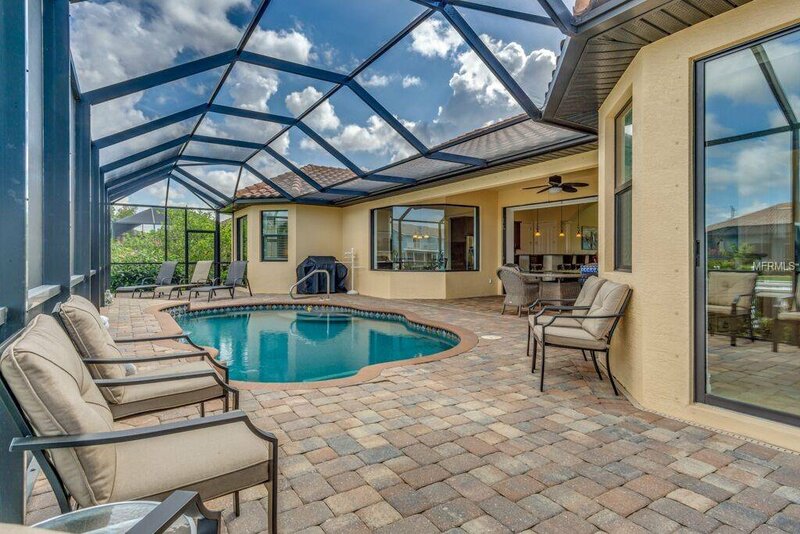 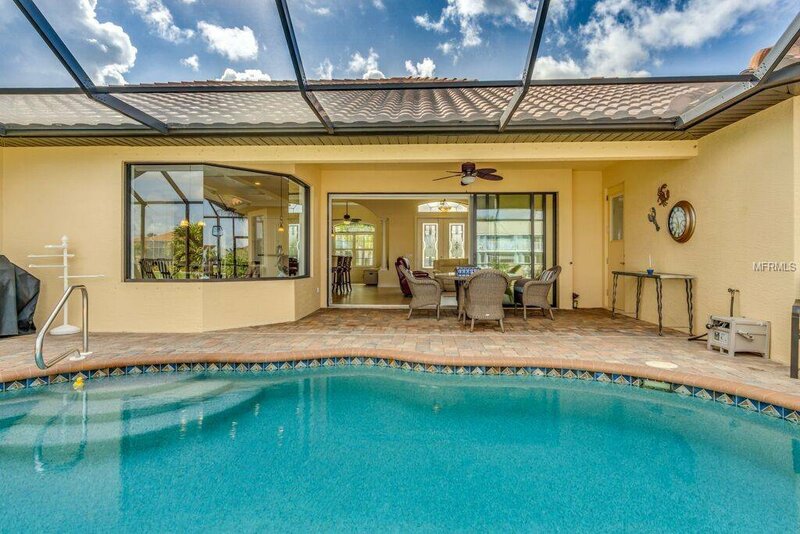 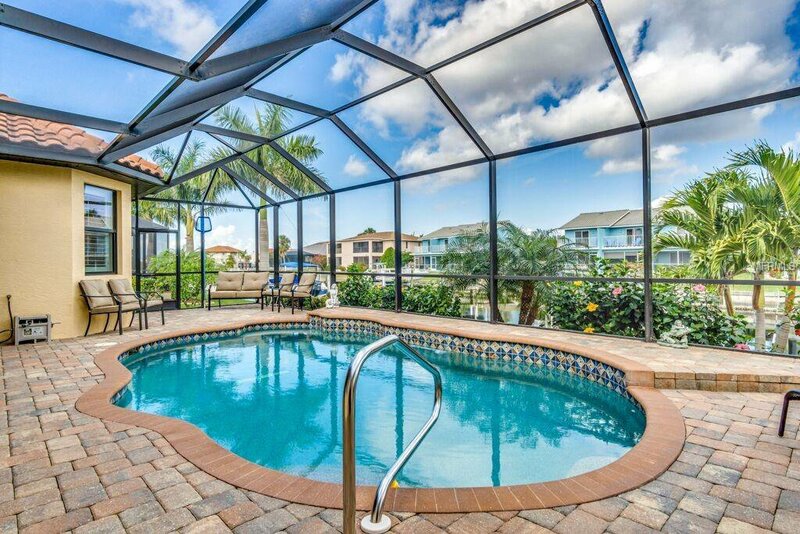 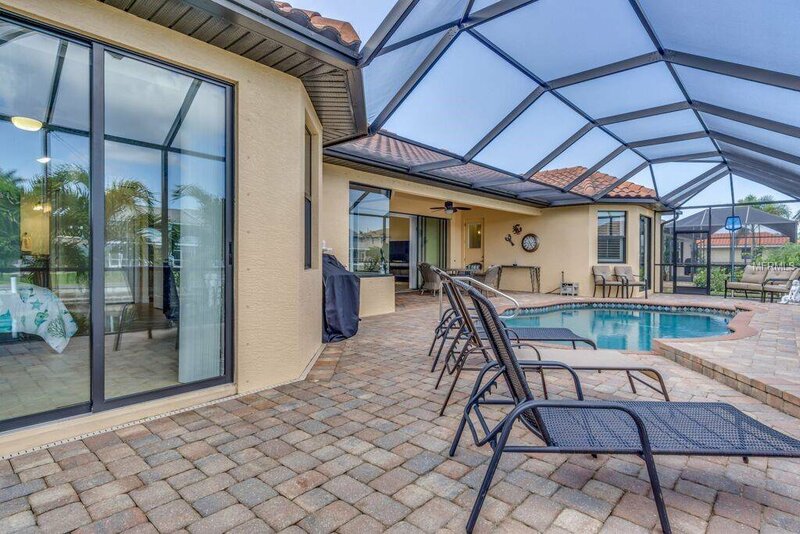 Relax on the screened brick paver lanai or enjoy a dip in the saltwater heated pool with a fountain. 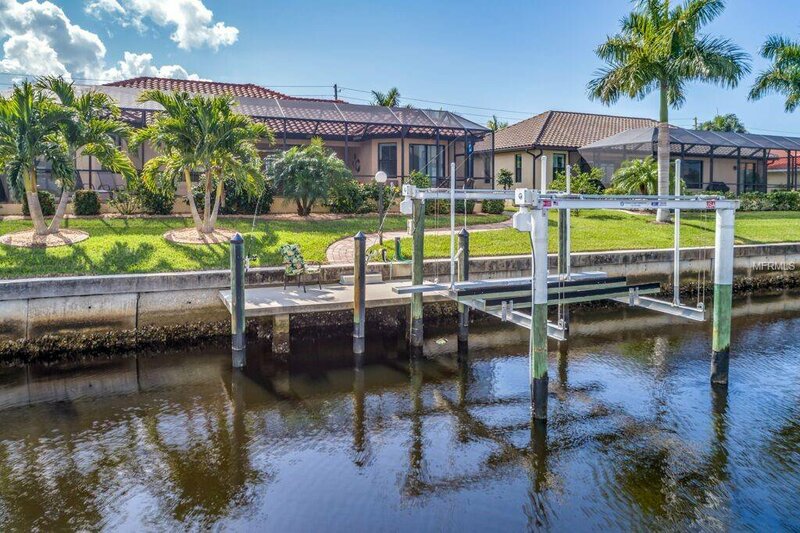 Take your boat from the 10,000 lb boat lift to the open waters of the Charlotte Harbor within minutes or fish from the dock with water/power. 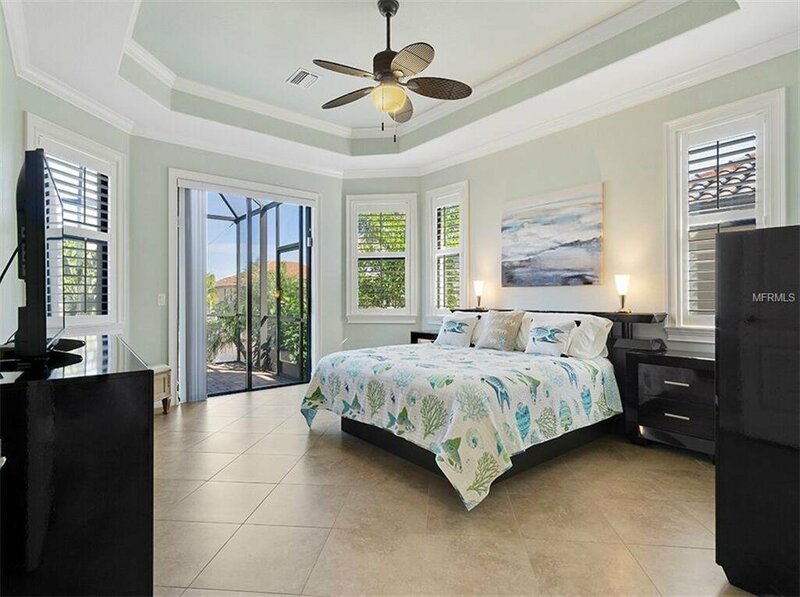 Hurricane impact windows and shutters for the sliders, front & lanai. 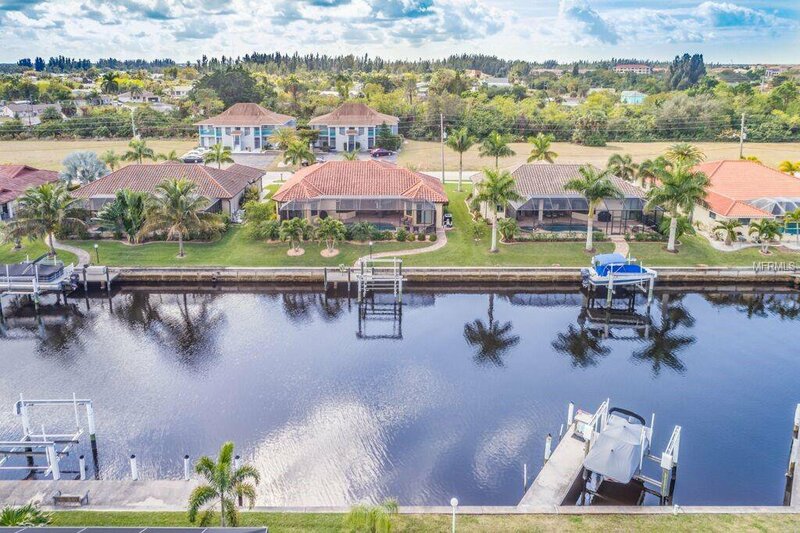 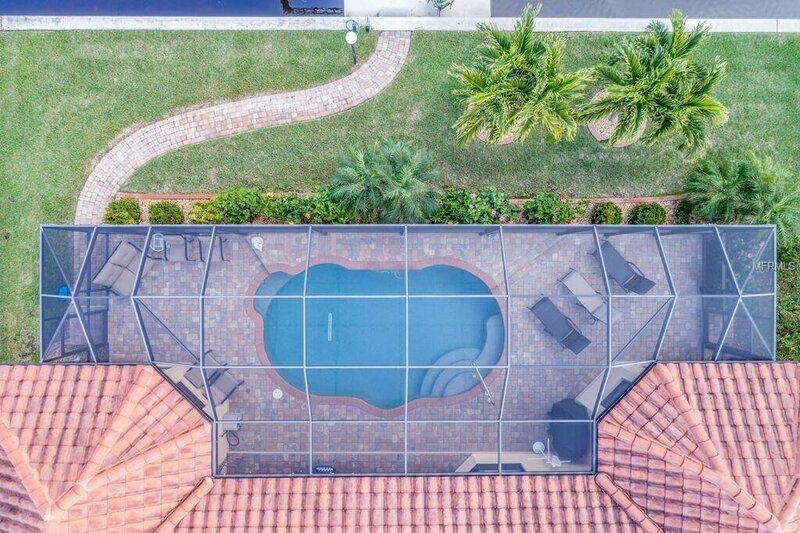 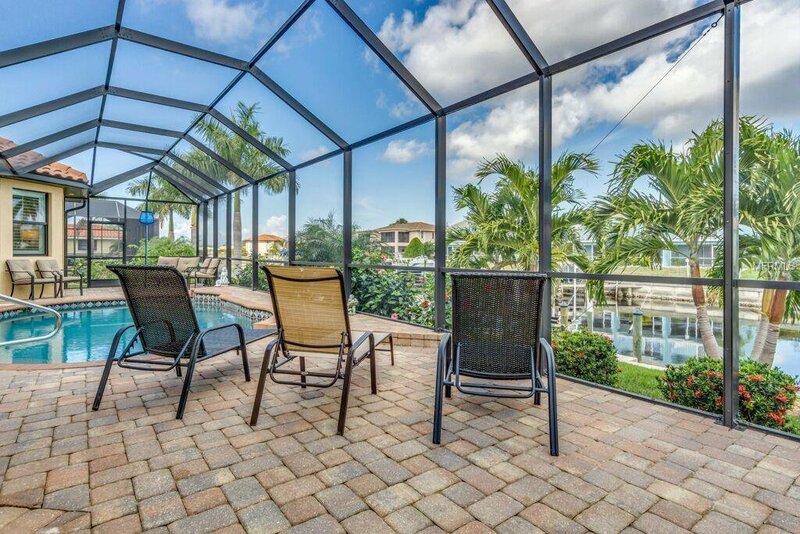 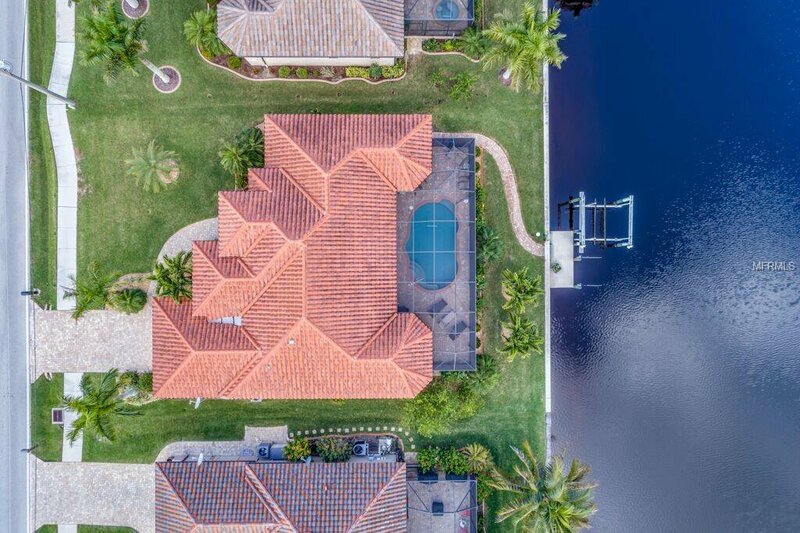 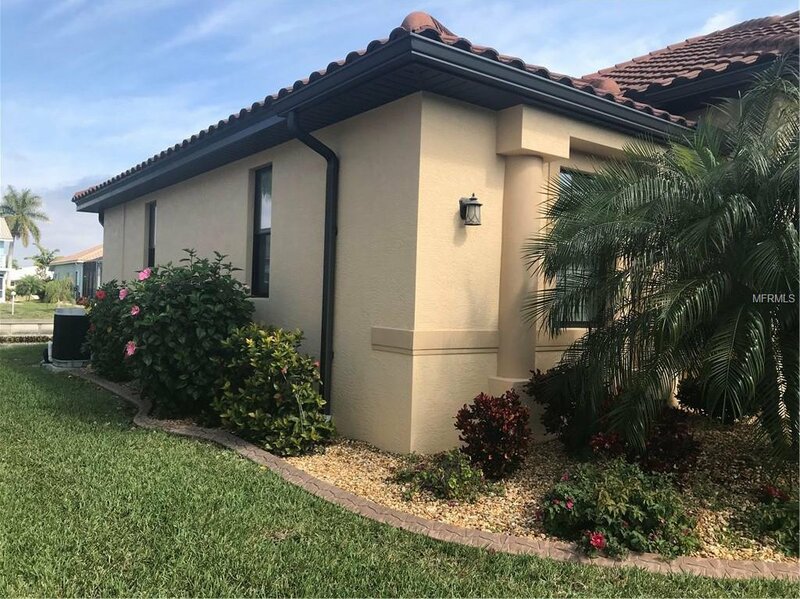 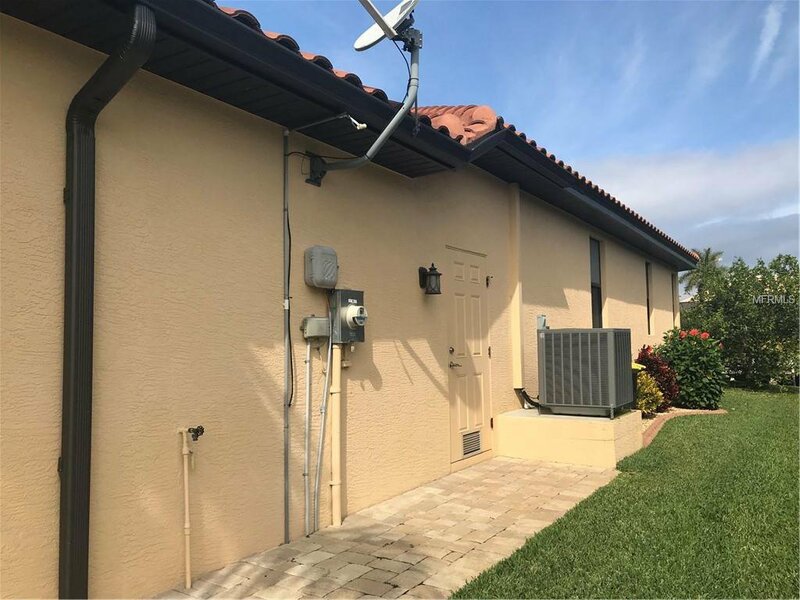 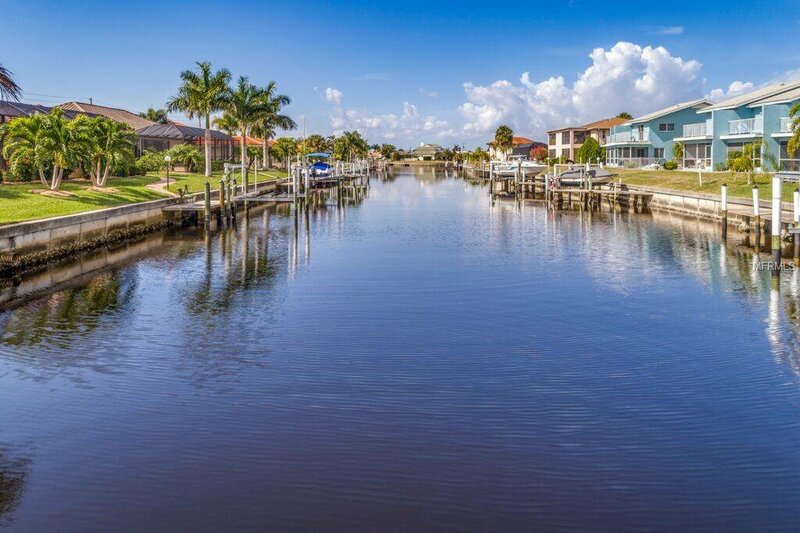 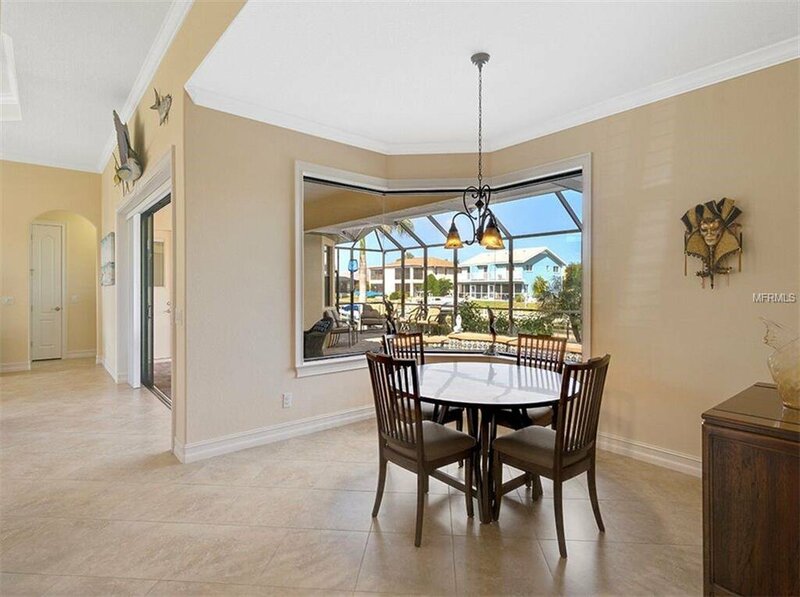 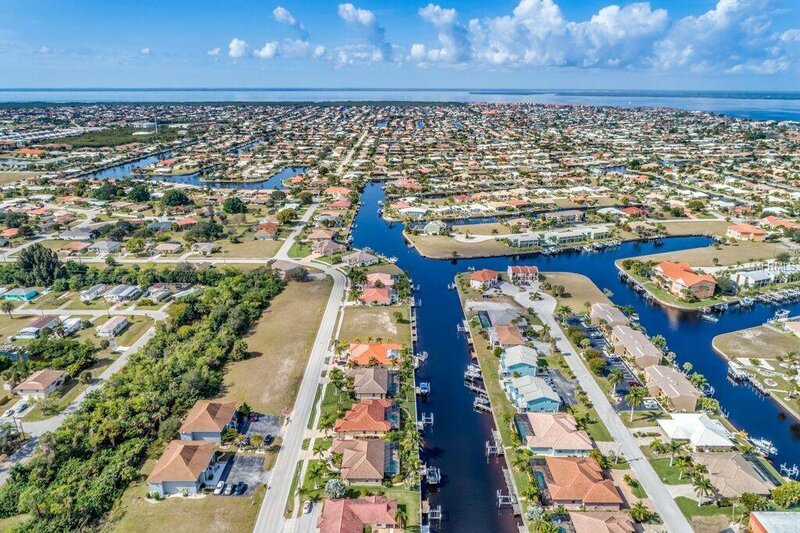 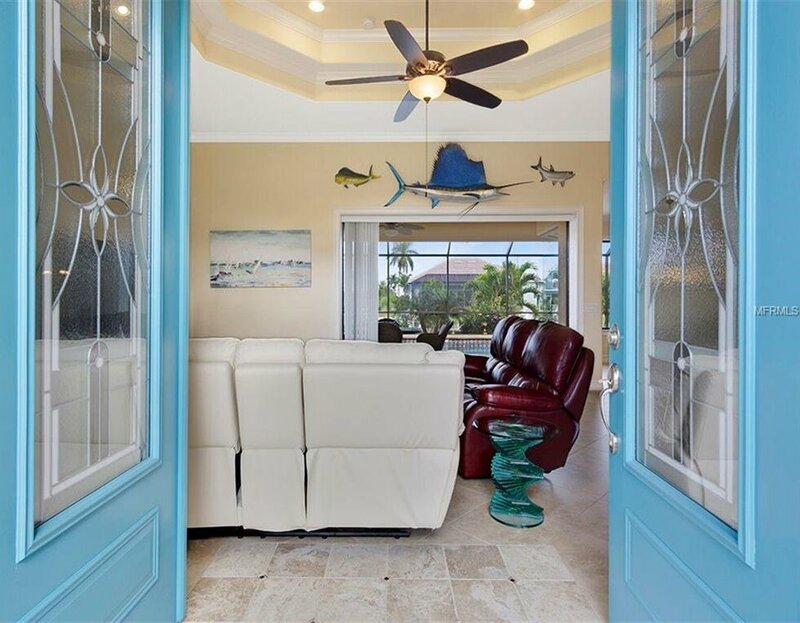 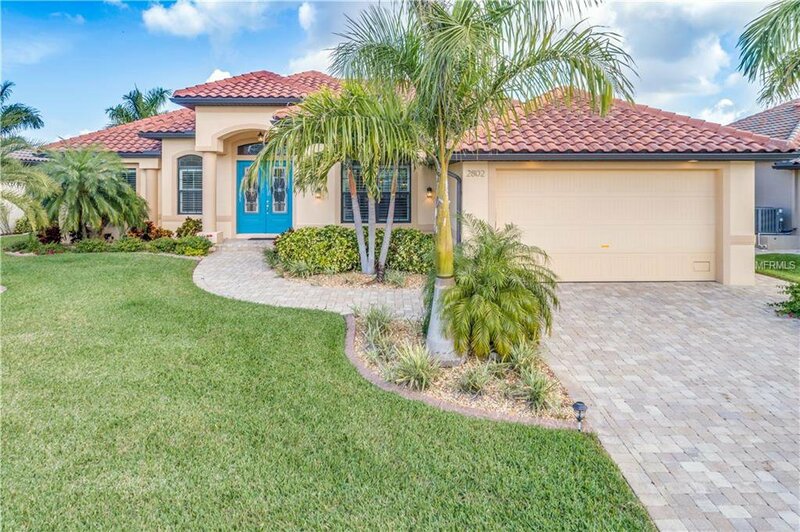 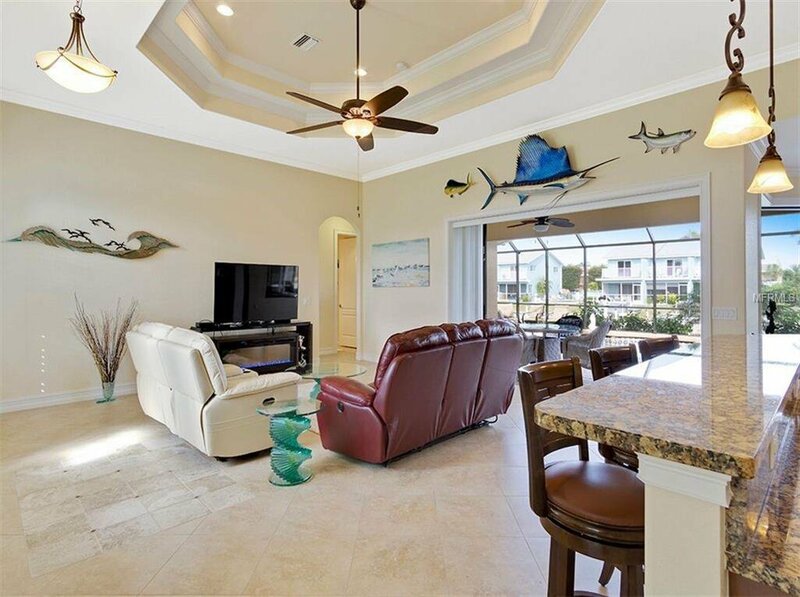 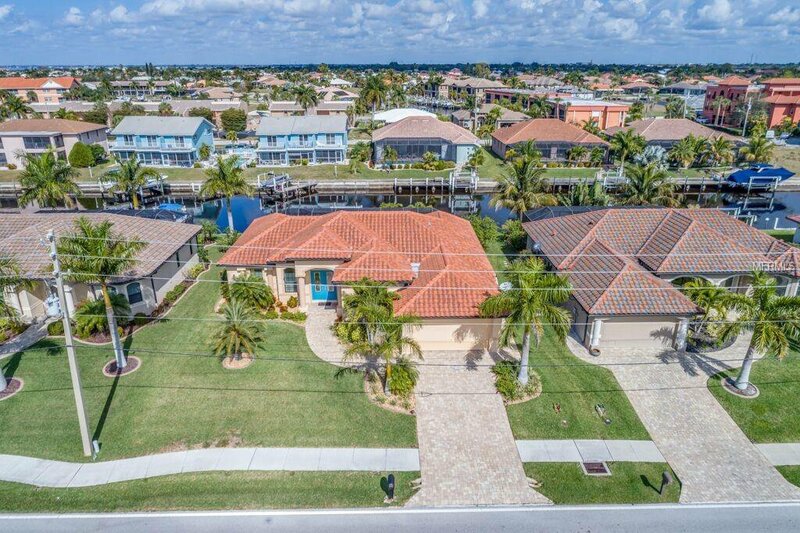 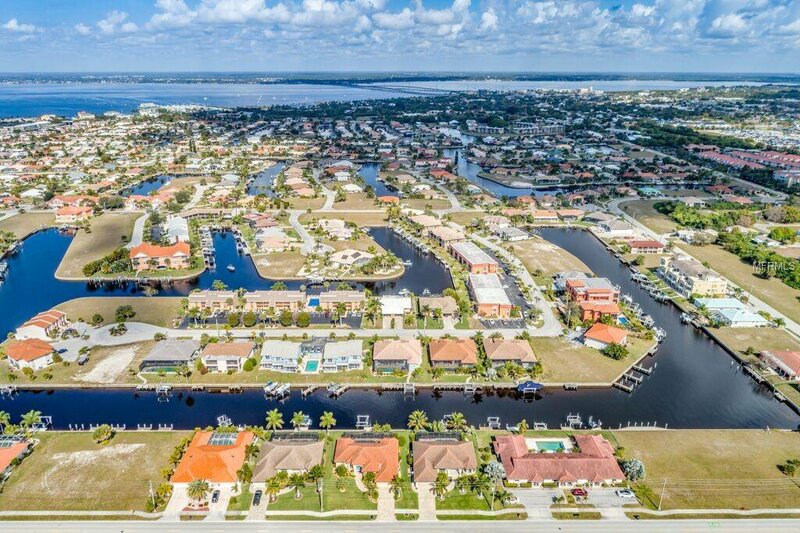 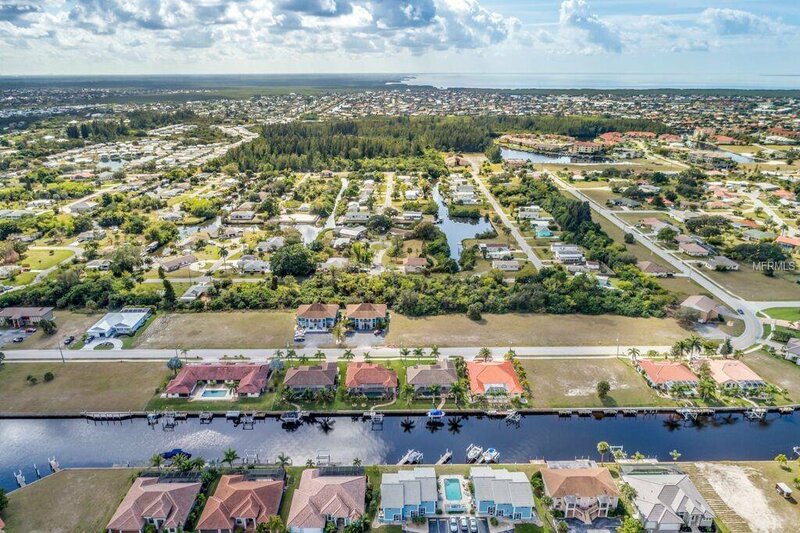 There is so much to enjoy about this home and the city of Punta Gorda including golf, tennis, restaurants, shopping, farmers market, Fishermen’s Village, and more. 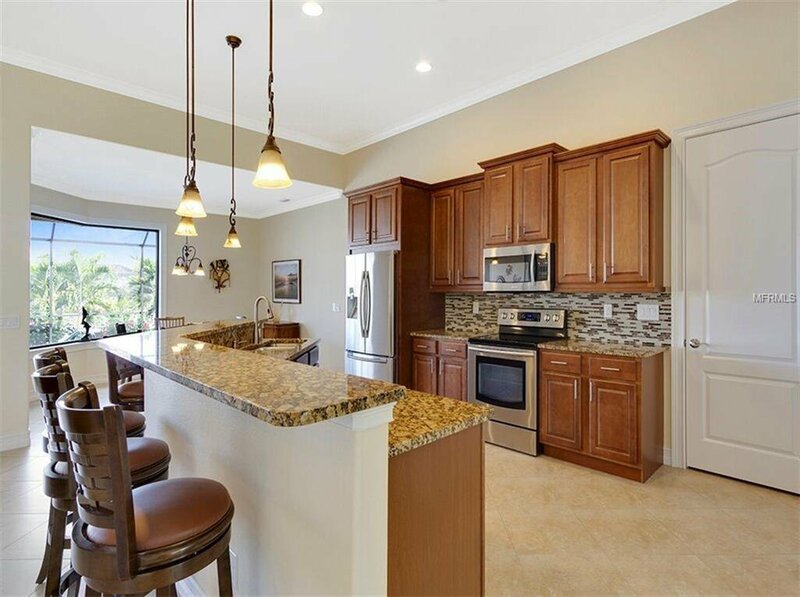 Listing courtesy of RE/MAX PALM REALTY.